The TDM is a versatile instrument for a wide array of applications in the areas of process development, failure analysis, reliability, and quality control. TDM (Topography and Deformation Measurement) is a patented technology designed to the 3D measurements of complex objects under thermal stress. TDM exerts thermal profiles and cycles on electronics components, in the same way as they are imposed on devices during production processes. Understanding, simulating and predicting the behaviour of complex packages and board during reflow is key. TDM helps the development and process engineer to increase the reliability of his products, from simple components to highly complex packaging, and allows the failure analysis engineer to understand more accurately the root causes of failures observed in operations. 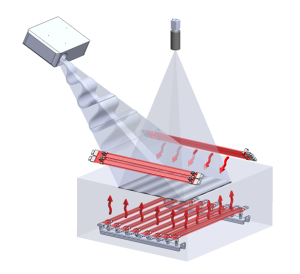 The TDM operating system combines a powerful, internally developed heating/cooling sequence with a sophisticated optical set-up for 3D topography analysis under thermal stress of all kinds of materials, components and sub-systems. TDM can impose the same thermal profiles and cycles on the devices that they will actually experience during the production process and during normal use. 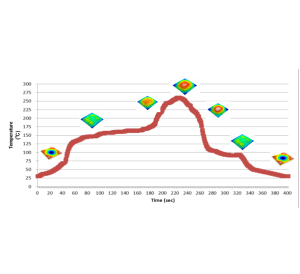 Throughout the thermal cycle, TDM measures the 3D deformation related to the imposed thermal stress, thus revealing faults that would likely occur during normal production and use. 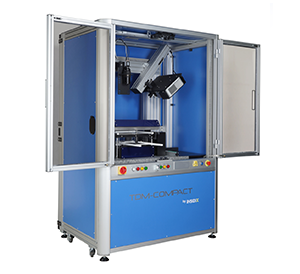 Thanks to its innovative technology and unique features, TDM system has been chosen by major companies in the field of electronics and semi-conductors for both quality control and R&D purposes. TDM equipment is compatible with any existing topography tool on the market and therefore can be easily integrated into all types of equipment park.Our customers acknowledged the technical advantages of the TDM system such as the high resolution sensor, the versatility of the system and its user friendliness that lead to a very high throughput.